Home / Family Life / My Bright Smile helping kids brush the right way! My Bright Smile helping kids brush the right way! Recently I was faced with a 4-year-old who decided the only way to brush her teeth was to only brush her tongue and the top teeth. No matter what I tried to explain to her she was convinced that, she was doing everything that she needed to keep things in order. Kids are funny like that, you can sit and tell them something and they just still have their own idea about how things are supposed to be done, and usually at this age there is really no changing their mind unless you can find something that speaks to them directly and in their language. Colgate has been at this kids tooth brushing thing much longer than I have and they have found a way to do it so that kids pay attention, listen and get the message that maybe, just maybe there is another (better?) way of doing things with their oral hygiene. Check out what these kids think of My Bright Smile! 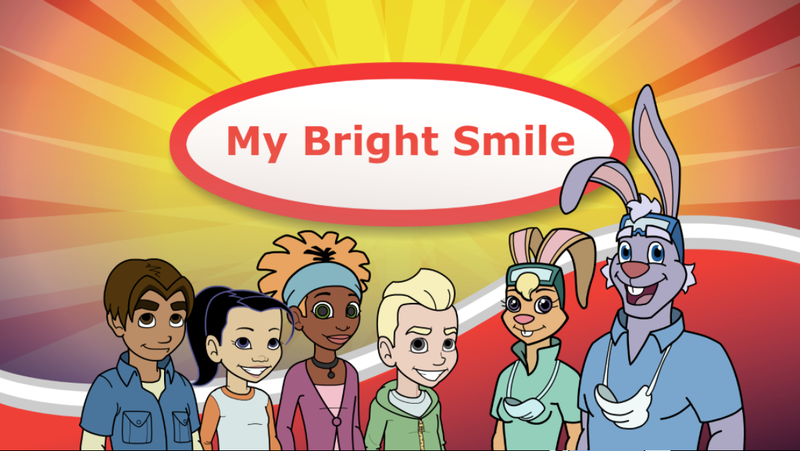 The My Bright Smile App allows kids explore things in Dr. Rabbit’s the dentist office, while doing that they help kids get comfortable about what they are going to see and do there, and why it is important to keep their teeth clean and healthy. When you help the patients brush you have to brush the insides, and the outsides of the teeth as well as the tongue. There is a maze that shows how to use dental floss as you floss away different foods, it is quite a cool thing for them to floss away all of the foods and bacteria. So, the best part of the My Bright Smile app for us has been the great brushing song that plays for just as long as you should brush your teeth, 2 minutes twice a day. I love that it not only is good to keep them brushing enough, it is also important when you have those kids that like to dawdle and not move on to the next task. I think Colgate has hit on their hands, included are five games, including “Visit the Dentist,” “Swipe the Sweets” and “Brush the Teeth.” you can download the app here for iPhones and here for Google play devices. Start using the My Bright Smile App for your kids and look forward to great check ups at the dentist.